Waiting for change can seem excruciatingly slow, as is the case with children in the backseat, on the way to a summer beach house, who ask repeatedly, every few miles, “Are we there yet? Ugh, how much longer?”, or as is the case with a mother, who must endure that seemingly interminable last month of pregnancy. And then, change can also seem to come too fast, as does the last day of vacation, or when the newborn is outgrowing her clothes every month or so. Revolutions seem to occur spontaneously, sometimes apparently set off by a single incident — for instance, when the young Tunisian, Mohammed Bouazizi, set himself afire in protest of police brutality, this event literally ignited what is now known as the Arab Spring. In retrospect, we recognize that discontent had been brewing for some time. When a substance freezes or vaporizes, there is an undetectable gradual build-up to the sudden phase change. As with water approaching a boil — it is the two hundred and twelfth degree that makes all the difference. As the story of the hundredth monkey goes, critical mass is what happens when a sufficient number of participants adopt a behavior or belief in order to achieve a shift that gains significant awareness, if not acceptance. The new norm can finally be sustained and grown as if it has a life of its own. The number that qualifies as sufficient participation is uncertain; it largely depends on how much inertia (resistance to change) the established habits have, and that is often hard to quantify. This is true whether we want to change mechanics or methods; principles or principals; politics or philosophy. The words ‘mass’ and ‘inertia’ are related, in that the mass of a body tells how much resistance/inertia the body has against a change in position, velocity, or acceleration. The formula is F = ma, which says, essentially, that in order to redirect a body’s movement one would require an effort, F, equal to the amount of inertia, m, times the amount of change desired, a. A growing number of people believe that, living now at the cusp of the Aquarian Age, we are witnessing a number of critical mass transitions. The spiritual revolution will overcome the inertia of the prevailing paradigm to elevate our collective human consciousness — hopefully in time to halt our rush to extinction. Hard-pressed to silence alternative propositions, teachers of history (religious, political, scientific, philosophical, etc.) who recognize the validity of new perspectives begin to argue less vociferously for the incumbent viewpoints. Students, when unencumbered by indoctrination, dig around daringly in the dirt that once fossilized the ‘facts’ of previous generations, and unearth alternatives to those versions so well-worn by academicians. Even today, the stories we are told and sold by politicians and media moguls may be no more reliable than a proverbial ‘fish story’. Regardless, as ideas are rendered, reported and repeated, a critical mass accepts them and the ‘historical’ perspective gains the advantage of inertia. Attempts to change the story are commonly brushed off, ridiculed, criminalized, or worse. In the Middle Ages, European folk would never have thought to question the veracity of their government-endorsed Church doctrine. The Church customarily administered wisdom from the Bible and Greco-Roman philosophers. When farmers began to notice that certain environmental conditions yielded better harvests, they shared this information with other farmers far and wide across the countrysides. Observing nature gradually became a supplementary source of information, in addition to that provided by the Church. At first the Church saw no harm in such investigations, nor in the innovations they spurred. 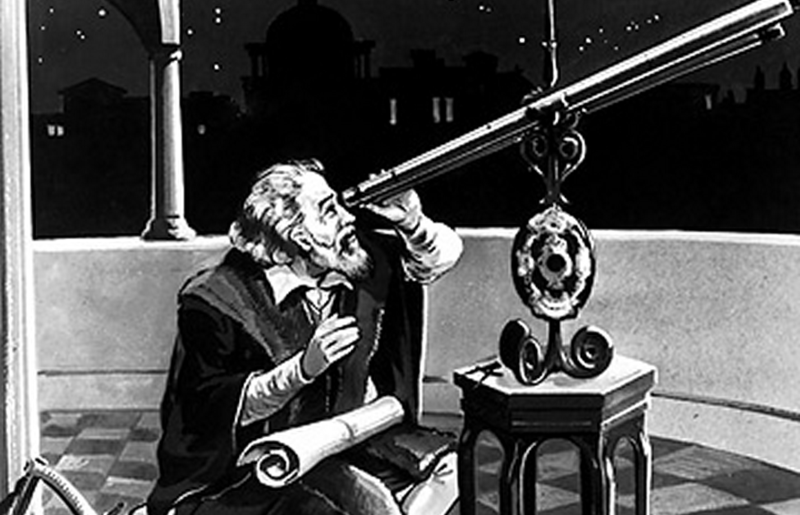 When scientists began using telescopes and microscopes, however, some of them let it be known that what can be observed for oneself differed from Church doctrine. Galileo, seen below, was brought before the Holy Office of the Inquisition for several intellectual crimes, most notably sharing openly with others how his telescope disproved the Church’s earth-centric model and lent credibility to Copernicus‘ censored heliocentric model. Punishment does not take place primarily for the correction and good of the person punished, but for the public good in order that others may become terrified and weaned away from the evils they would commit. If convicted of heresy, a crime against the Church/State, the offender would likely be tied to a stake and burned until dead. This was the fate for Giordano Bruno, who attempted to defend his position that the universe was infinite and therefore had no center or boundary. Galileo preferred to avoid the gruesome death penalty, so he recanted and remained under house arrest for the rest of his life. I have been judged vehemently suspect of heresy, that is, of having held and believed that the sun in the centre of the universe and immovable, and that the earth is not at the center of same, and that it does move. Wishing however, to remove from the minds of your Eminences and all faithful Christians this vehement suspicion reasonably conceived against me, I abjure with a sincere heart and unfeigned faith, I curse and detest the said errors and heresies, and generally all and every error, heresy, and sect contrary to the Holy Catholic Church. 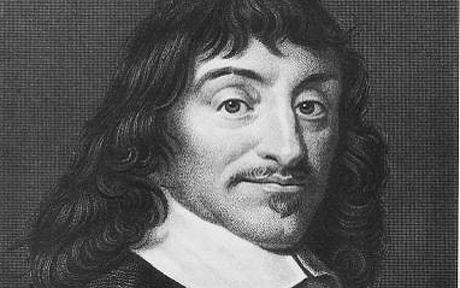 The ideas of 17th century philosopher, Rene Descartes, continue to ripple throughout the scientific and philosophical communities and even beyond, where they subliminally influence our cultural milieu and spiritual evolution. By methodical skepticism, Descartes began doubting everything that could be doubted. Because at different times, or under different circumstances, things could be variously perceived, Descartes could not be certain that what he perceived was, in fact, as he perceived it to be. What Descartes found to be indubitable was that he, himself, was the one who was doing the doubting. Ironically, the evidence for his very existence was found in the very act of doubting his existence. Descartes presumed that the practicality of his perceptions was arranged by a benevolent God, who had no interest in deceiving him. And, because perceptions have this spiritual or mystical quality, he accepted that they were off-limits for human investigation. At the time of the Scientific Revolution Cartesian ideas were changing the philosophical paradigm. Assuming the ability to mentally conceptualize was evidential, Descartes elevated humans over animals and every other mindless thing. While the ability to interpret physical sensory stimuli came under the purview of human reasoning, other things and beings were considered unconscious objects that functioned mechanistically. Between perceptions and conceptions Descartes split the real from the unreal. The inner subjective self he found to be non-negatable. He was not saying that perceptions did not occur; rather, he believed the stimuli was not dependably represented by the senses. As the sayings go, “the menu is not the meal” and “the map is not the territory“. Check out Philosophies and Nonduality. 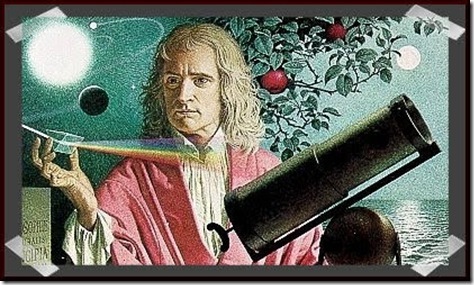 In 1665, Isaac Newton, with simple toy prisms purchased at a local fair, proved that color was inherent in white light and not produced by the prism. He then hand sketched an illustration of his scientific experiment and made it repeatable by anyone interested. Science was no longer exclusively for the elite! From refraction of light to a revolution in science — Newton changed the world with a simple toy and a stroke of genius! The Scientific Revolution established a method of experimentation that became universally accepted. As long as everyone complied, experiments could be reliably repeated by anyone anywhere. Uniform experimentation is what turned philosophers into scientists. In fact, as soon as a philosophical hypothesis could be tested experimentally, it was remanded to the auspices of science. With grim concerns about painful punishment, scientists limited their observations to natural phenomena and busied themselves measuring the properties of such (location, size, weight, mass, velocity, charge, etc.). Carefully avoiding the investigation of cosmic or spiritual causality, as well as immeasurable things like experiences (altruism, coincidence, love, etc.) or qualia (color, malleability, odor, etc.) and even how one comes to know what he/she knows, the philosophers unfortunately conceded these and other metaphysical curiosities to contemplation by theologians. The philosophers turned scientists, and by definition, confined themselves to the study of measurable phenomena. Now, after centuries of materialistic pursuits, they have come to a dreaded recognition: at the fundamental level where particles emerge in distinction from a background soup, it appears that the observer cannot be subtracted from what is observed. Quadernity gathers the materialists, the idealists, the spiritualists and the scientists under one philosophical approach where each of them can be right without making the others be wrong.